We are a team of skilled movers with a Man and Van in Guildford, Merrow, Worplesdon and Stoughton. We are prompt, friendly, reliable and very cheap. We move small businesses, doctors nurses, students and much more, find out how much we can save you on your Man and Van move in Guildford. We cater for small and large moves in Guildford and surrounding areas, Such as Merrow, Worplesdon, Stoughton and Onslow Village. from a single items to a flat or a house moves. Looking for a Cheap Man and Van that Covers Guildford, Merrow, Burpham, Worplesdon, Stoughton and Shalford? No need to look Elsewhere, You’ve Found The Best Man and Van Service in Guildford, we also serve Worplesdon, Cranleigh and Shalford. We also serve to both domestic and commercial removals in Jacobs Well, Park Barn, merrow, Guildford and Stoughton. We have 3 different van sizes, small medium and large. We offer competitive Hourly rates or competitive Fixed rate, the choice is yours. We can move single small items, such as a sofa to full loads locally or nationwide. 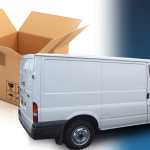 For cheap and cheerful moves in Guildford and call Man and Van today for competitive rates. If you are a student and looking for a Van and Man in Guildford, you’ve come to the right place. Our company offer student discount for man and van moves. Sometimes it can be tough when moving, we want to ease the stress and provide a competitive rate. Man and Van Guildford Have been moving students from Guildford for many years, and we are experienced and skilled. We offer a packing and boxing a service, however if you pack and box your own items, we can give a further discount. Our friendly and efficient Van and Man service are available 7 days a week, and we don’t charge extra for weekends. We understand that being a student money can be tight, but with our student budget move we can give up to a 25% discount. This discount is based on one man and Van. Can you get friends involved? If you can pursued a few friends to help and move your belongings, this option can save you up to 40% discount. May be offer a drink as a sweetener. 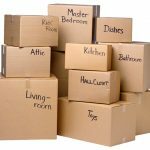 Moving can be one of the most stressful things in life, but with a little preparation you can help make that move stress free. Mark all boxes with a bold black felt tip pen and to which room they are going into, and with a short description of what’s inside. Mark the boxes on top and sides, so you know what order to move and un-box them. Put screws and bolts in clear plastic food bags and label or mark them clearly. 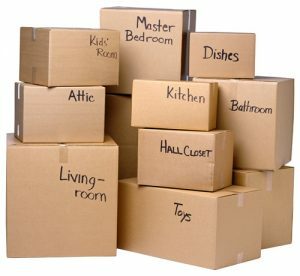 Move the larger items into your new home first, this will make it easier when off-loading the smaller items and boxes. Lastly, have you got light bulbs? You don’t want to move into your new home to find you have no light. Man and Van Guildford, Worplesdon and Merrow. Removals can be time consuming and sometimes stressful, but with our Man and Van team we can eliminate those problems. The reason for this is that there is no other movers like us in Guildford, we are one of the kind. We offer removals for student, single item moves, House clearance and major removals. Cheap Man and Van in Guildford, Stoughton, Worplesdon and Merrow. A friendly Service. Man and Van Stoughton Worplesdon or Removals Services Merrow and Guildford? Should I hire a Man and Van or a removals company? The choice between a Van and Man will depend on 2 factors, what are you moving? A man and van service will be a much better option if it’s a small move, but can work out much more expensive if 3 or 4 trips have to be made to move your possessions. For small moves a Man and Van service will be cheaper and an affordable alternative, so long as you aren’t moving the whole of a home. The Man and Van teams in Worplesdon, Merrow and Guildford are now working 7 days a week. Our team of professionally movers highly experienced and care about looking after your belongings. Whether you live in Stoughton or Onslow Village, we are here to help you move. Let man and van removal service take care of your move in Guildford, Merrow, Burpham, Park Barn Worplesdon. We provide a highly professional and competitive pricing. Our Teams are constantly moving people across Guildford and Surrey. So, if you’re looking for man and van company in Guildford that offers you the best value for money and service, then you have found us. We can get you moving as soon as possible. We go the extra mile to give you the best price possible. Normandy, Guildford, Merrow, Stoughton, Park Barn, Jacobs Well, Shalford, Onslow Village, Cranleigh, Compton, Hascombe. Areas we cover. Guilford, Cove, Frimley Green, Camberley, Farnborough, Fleet, Farnham, Guildford, Deep Cut, Frimley, Ash and Ash Vale.